Nick London is an expert knee surgeon with more than 20 years’ experience in sports injuries, knee arthritis and knee replacement surgery including 17 years as a specialist consultant. In 2018 he was appointed Visiting Professor to the Leeds Beckett University Carnegie School of Sport in recognition of his work with sports injuries. Since his appointment as a Knee Consultant in 2000, Nick has performed many thousands of Knee Arthroscopy, Ligament Reconstruction (ACL) and Knee Replacement surgeries. He achieves excellent results in comparison to national and regional data for both knee replacement surgery and ligament reconstruction and is a key opinion leader in sports and knee arthritis surgery. 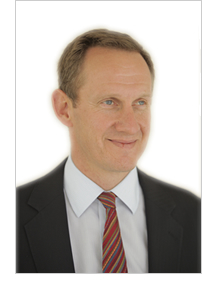 Nick is central to The Yorkshire Knee Clinic’s ability to provide a complete, through life service. He manages all orthopaedic knee conditions, from those developing in children and adolescents, through sports injuries in athletes of all abilities (elite professionals to ‘weekend warriors’), to knee replacement/resurfacing procedures in patients with severe arthritis. In addition to working with elite sportsmen and women, Nick has a particular interest in managing young, active patients living with arthritis. His experience with partial knee resurfacing (ligament-preserving replacement surgery) is unparalleled in the region (more than 1,800 cases). He works with the orthopaedic industry to develop and evaluate the latest treatments and techniques for sports and arthritis surgery. Nick’s work at The Yorkshire Knee Clinic takes him worldwide, but he carries out treatment in the UK at two Yorkshire Hospitals: the BMI Duchy Hospital, Harrogate and Nuffield Hospital, Leeds. Following training at Cambridge University, a Yorkshire surgical rotation and a Fellowship year in Australia, Nick was appointed Consultant in Orthopaedic and Trauma Surgery at Harrogate District Hospital in 2000. Today, he maintains a busy and active NHS practice. In addition to clinical practice, he has extensive teaching, training, development and research commitments. He has worked closely with Zimmer Biomet, and Moximed (orthopaedic implant companies) and has consultancy, educational and developmental roles. Contracts with these companies are fully disclosed and approved by Harrogate District Foundation Trust, to avoid any potential conflict of interest. • Partial knee resurfacing procedures to enable older individuals to continue their sport. Nick lectures and teaches about knee surgery procedures and developments worldwide. This includes convening regular workshops in the UK and across Europe to train consultant colleagues and senior trainees. He regularly hosts visiting orthopaedic surgeons interested in learning specialised surgical procedures. A ‘knee fellowship’ is an attachment to an expert knee consultant with a special interest in the treatment of complex knee conditions. It’s an opportunity for which orthopaedic doctors compete. Between 1999-2000, Nick spent a year in Brisbane working with two of Australia’s most experienced and renowned knee surgeons. In 2003 he set up an international fellowship in Harrogate to give senior orthopaedic trainees the opportunity to study knee surgery and be involved in ongoing research and development activities. This is a 6-month fellowship and has now attracted more than 30 knee fellows with both local and international backgrounds. Nick is a founder member of The European Knee Society (EKS) – formed in January 2015. This prestigious society aims to advance knee arthritis surgery and education by bringing together European opinion leaders and holds regular open and closed meetings. Prior to helping to build the European Knee Society, he was an elected member of the European Knee Associates (EKA) from 2011. To talk to Nick about your knee problems, please contact the Yorkshire Knee Clinic.